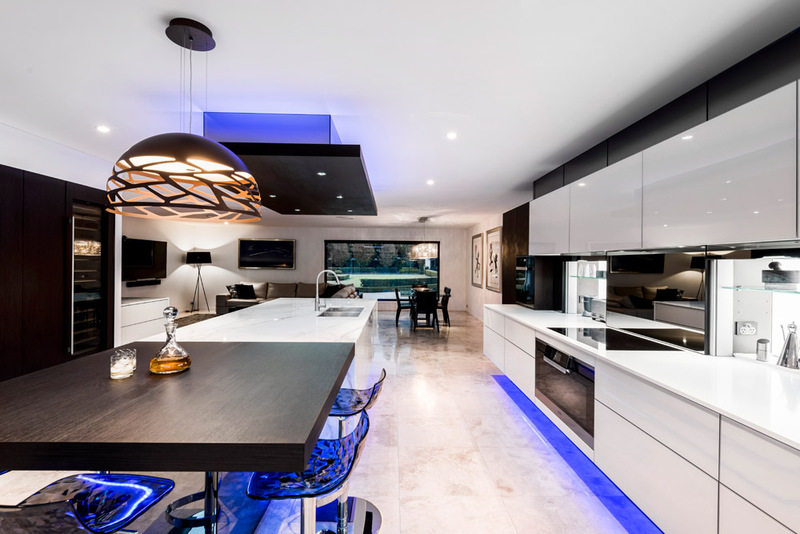 As part of a luxury kitchen design, Pixalux® was used to provide a homogeneous back light inside the concealed splashback cabinets of this award winning kitchen designed by Kim Duffin for Sublime Architectural Interiors. As part of this unique and award winning design, Kim has cleverly concealed a cabinet behind retractable splashback panels where Pixalux® creates a wall of light on the rear panel. To maintain the functionality of the cabinet and aesthetic of the kitchen design, it was critical to use Pixalux® which provides beautifully diffused light, and is only 16mm thick, ensuring usable cabinet space was maximised.